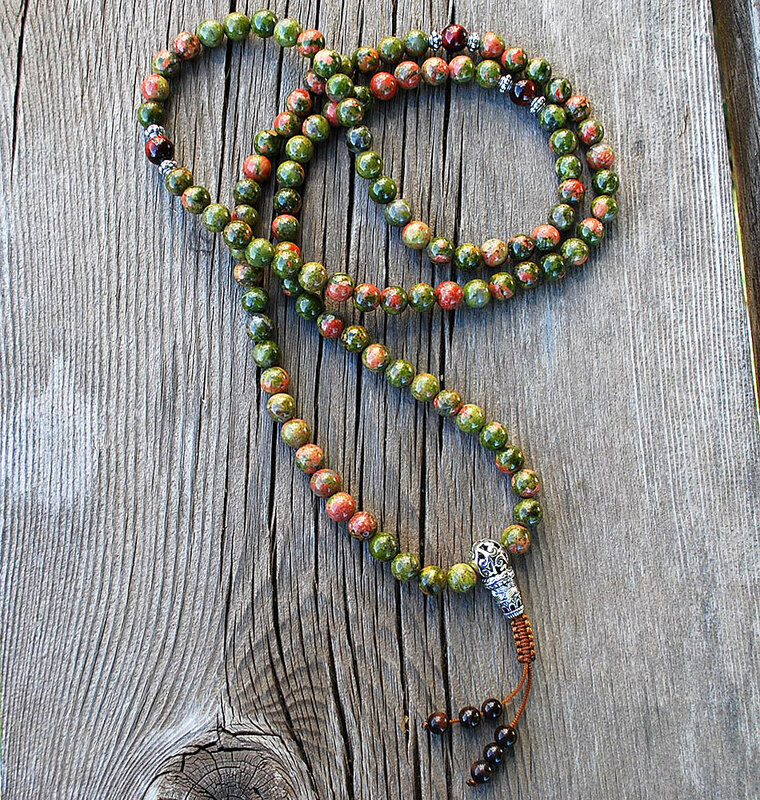 Unakite Buddhist Prayer Beads, made of 8mm unakite beads, with red tiger’s eye and silver markers, finished with an adjustable knot and beaded adornments. 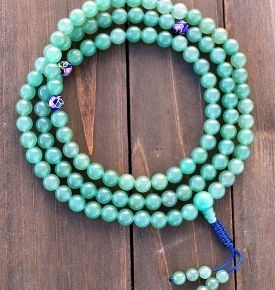 *Guru bead can be plain or filagree. Unakite Jasper: Balances physical self and emotions.Jasper: Grounds mental energies, helps with handling life’s day-to-day details, and promotes healing. Jasper is folklored to bring good health as well as courage and wisdom and be a protective talisman. 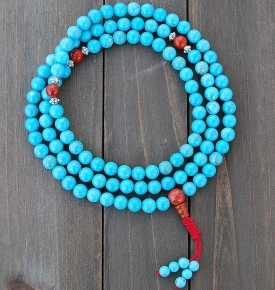 The quality and style of these beads- amazing! I truly love these beads. 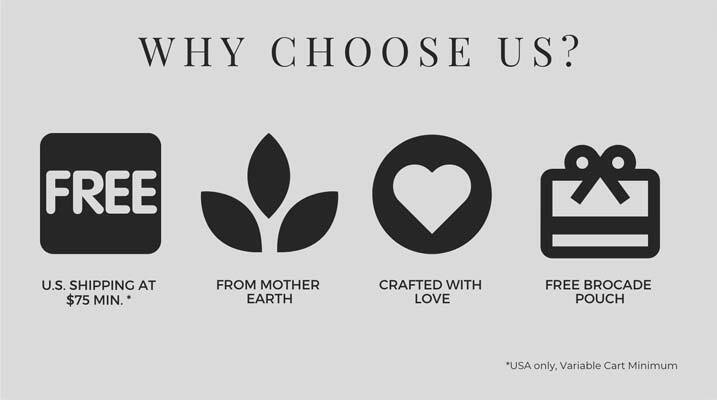 Made very well with quality and care. 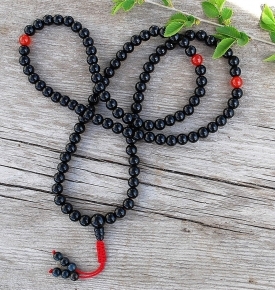 There is no question that these prayer beads are of the highest quality and very sturdy. I would say to expect them to appear a little more toward the green color when worn, unless against a white shirt. But they are beautiful, and I’ve loved that they remind me to be grateful and take more time to focus my energy toward gratitude, releasing toxic thoughts, and being at cause for my purpose. 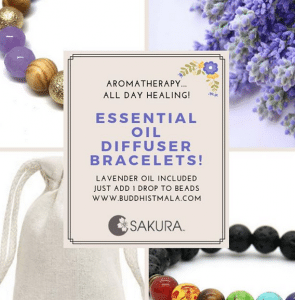 I def will be ordering additional items from this co for gifts! 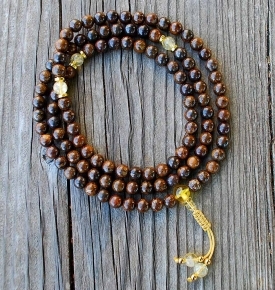 Very nice mala, works great for meditation! Beautiful great quality every single time I order, promt delivery as well. VERY well and beautifully made. I needed a little help learning how to tighten and loosen the beads. Dawn was very kind in walking me through this. I’m grateful for the thought and care that shines through. Very pleased with beads. They are of great quality and style! Beautiful beads and Tastefully sent with a color coordinated bag.